Vince Vaughn and Owen Wilson are teamed up again for the first time since Wedding Crashers (2005). If The Internship is anything like Wedding Crashers, then we are definitely in for a show. I think that the filmmakers are counting on audiences to think the same thing. The movie looks like it might be good for a few laughs, but I just have a gut feeling that audiences are going to be disappointed. It looks funny, but not very. 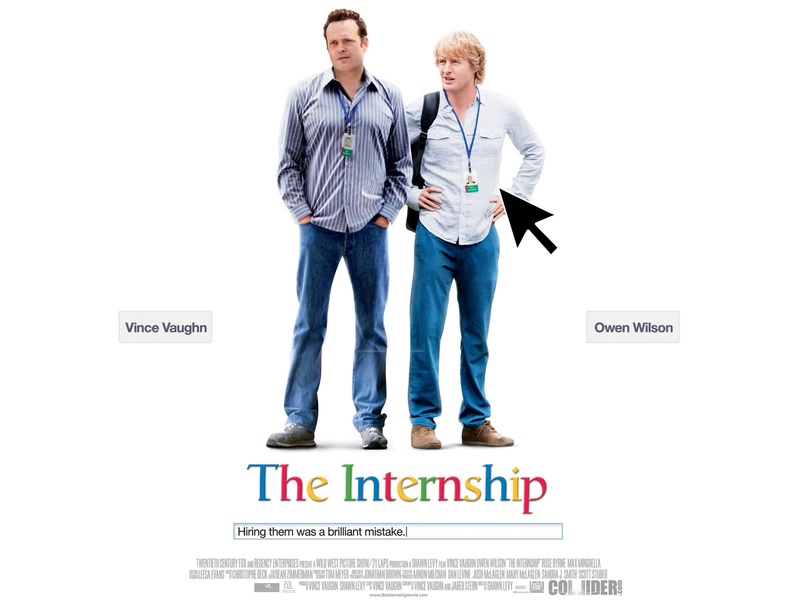 Owen Wilson and Vince Vaughn play two friends who lose their jobs and manage to get internship positions at Google in hopes of eventually getting a job with Google. I’m a big fan of the comedy duo, but they probably should have tried to make a movie like this together 5 or 6 years ago when they were still more in their prime. Either way, the film is basically guaranteed to make a lot of money, at least in the first few weeks after it is released. Yeah, I’ll probably see it and hopefully I’m wrong about my gut feeling. What are your thoughts? The Movie is directed by Shawn Levy and some recognizable supporting cast includes John Goodman, Rose Byrne, B.J. Novak, Max Minghella, and Aasif Mandvi. The movie is set to release on 6/7/13. Posted on March 14, 2013, in Previews of Upcoming Movies and tagged Aasif Mandvi, B.J. Novak, Film, Google, Internship, John Goodman, Max Minghella, Owen Wilson, Rose Byrne, Shawn Levy, The Internship (2013), Trailer for The Internship (2013), Vince Vaughn, Wedding Crashers, Wedding Crashers (2005). Bookmark the permalink. Leave a comment.